Workshop was proud to work with Baltimore's Design Collective on designing Marquette University's first new residence hall in 50 years. Read about the event from Marquette Today. Workshop Architects hosted two lectures on behalf of Historic Milwaukee, Inc., a non-profit preservation advocacy organization "dedicated to increasing awareness of, and commitment to, Milwaukee’s history, architecture, and the preservation of our built environment" (Historic Milwaukee's About page). As part of a training program for volunteer history tour guides, Historic Milwaukee, Inc. held lectures in the Workshop Studio in Walker's Point. The first was held on September 26th and featured Milwaukee's most credited local historian, John Gurda. The second, on October 5th, featured Chris Szczesny-Adams, Professor in Art History at MIAD, who's scholarly focus is nineteenth and twentieth century architecture, art, and material culture. Holmes Student Center at Northern Illinois University will undergo a major renovation and addition, the first phase of which - renovation of the first floor - has been approved by the Illinois Board of Education. Workshop provided planning, programming, and conceptual design services for NIU's Master Plan, focusing on revitalizing Holmes Student Center to once again be the center of student life on campus. Read more about the project from NIU's student-produced media outlet, Northern Star, and read about Workshop's Master Plan for NIU here. 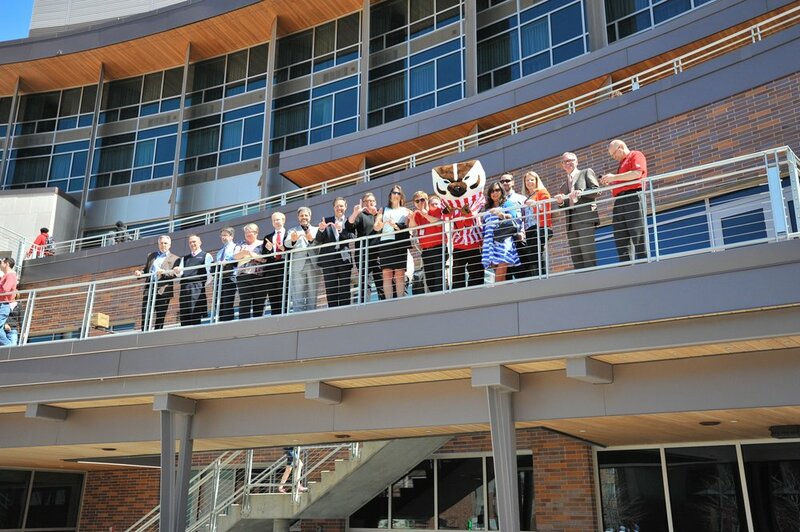 Five years ago, an enormous crowd of students stood outside the main doors of Union South awaiting the ribbon cutting. The doors opened and students, alumni, and members of the Madison community poured in to explore their brand new student union. Within minutes, people started finding a comfortable spot – their spot. It was as if they had known the building all their lives, which was no accident. Workshop Architects’ collaborative, research-infused design approach helped to decode the social DNA of the UW–Madison campus, resulting in a place that Badgers and the surrounding community alike would immediately find endearing. Members of the design team from Workshop will host a learning session to discuss the research and design methods that contribute to Union South's continued success. Click here for some incredible highlights from the past 5 years at Union South and more information regarding the celebration! Workshop Architects, along with partners IDS and Hartman-Cox Architects, was selected for the programming and design phases for the renovation of the historic Michigan Union at the University of Michigan. Conceived on the cusp of the student union movement and designed in 1915 by the Chicago firm, Pond & Pond Architects, the Michigan Union stands today as one of the foremost institutional and architectural examples of a true campus center. That it is still cherished as a campus icon is testimony to the spirit of the architecture and the ideas behind its creation. We share the University of Michigan's commitment to the preservation and renewal of the Michigan Union as a vital center for campus community, and we are honored to partner with them on this extraordinary project. Jan van den Kieboom, Founder and Principal at Workshop Architects moderated a session titled "Wellness and the Well-Integrated Campus" at the 2015 ACUI conference in San Antonio, Texas. The panelists included student life leaders Loren Rullman from University of Michigan, Brian Fremeau from University of Notre Dame, and Kim Harrington-Pete from Georgia Institute of Technology. The panelists presented three different wellness initiatives on their respective campuses: Notre Dame's Campus Crossroads project rethinks both organization and architectural boundaries between student recreation and the student union; Michigan's integrative organizing strategies are creating new synergies and shaping both programmatic and future facility planning; and Georgia Tech's current study for improvements to its student center has served as a catalyst for vitality studies that look at the whole campus as the unit of analysis. After a process that began with planning and pre-design efforts in 2012, Minnesota State University Moorhead is preparing for the extensive renovation of the CMU (Comstock Memorial Student Union). CMU, originally constructed in the late 60's, has been untouched since its last renovation in 1992. Read about it in MSUM's The Advocate here. Workshop Sponsors Challenge for College Students to Launch "The Commons"
Workshop Architects pitched their challenge last Friday night at the forefront of an amazing launch weekend for the Milwaukee Commons! The student group that accepted the challenge teamed with Workshop to brainstorm a collaborative space for The Commons; their canvas was the 4,000 square foot space located in Milwaukee's Walker's Point neighborhood. At the close of a long and labor intensive (but incredibly fun!) weekend, 10 students from various colleges and universities around Wisconsin presented their vision and plan to create the best space for The Commons and their team was one of three selected as winners! This energetic, bright and creative group will carry their inspiration and ideas throughout the next several months to create the ultimate innovation, 'uncorporate' hub in Milwaukee. Read about some of their past classes here. Erasing the Boundaries: How Notre Dame's Stadium Expansion Expresses Commitment to the 'Whole Student"
The University of Notre Dame's Campus Crossroads Student Center and Rec Sports facility is the tangible fulfillment of UND's commitment to the development of the "whole student." Workshop Architects' own commitment to collaborative planning and design process was a perfect match for the integrative nature of this project. Our process purposefully blurred boundaries among the firms who contributed to the Campus Crossroads project as well as those among academic disciplines, student life, and student service functions. The resulting blend of academic, social, and wellness components in a single project reflects the bold inventiveness of Notre Dame and redefines what it means to support the holistic development of students. Join the AVP for Auxiliary Operations from the University of Notre Dame along with representatives from Workshop Architects, S/L/A/M Collaborative, 360 Architecture and Ricca Design Studios as they discuss some of the most intriguing concepts within their 'Campus Crossroads' project! 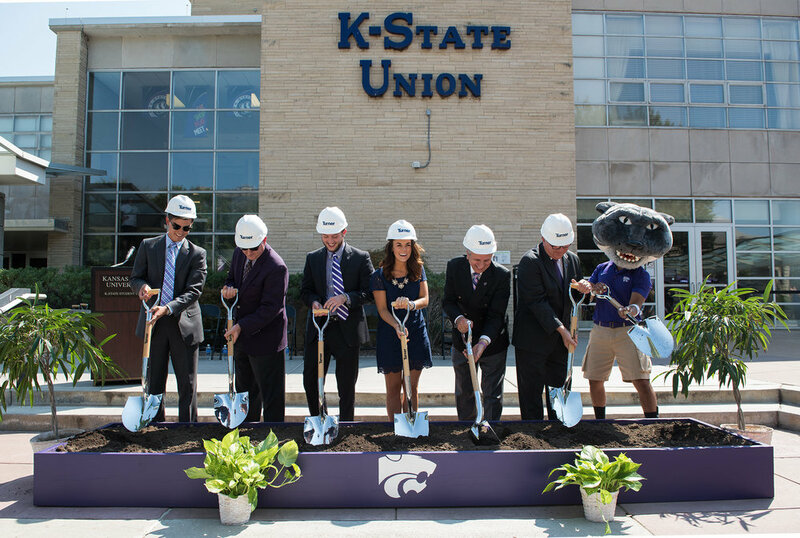 Learn how this $400M cutting-edge design blends student life with academics, athletics, and community, bringing together various and seemingly unrelated components, which promoted the funding of this 750,000 SF expansion wrapping the University's iconic football stadium. More info can be found on the official conference website here. The Chronicle of Higher Education featured Notre Dame's Campus Crossroads Project in an article, describing the specifics of the project and how it will affect student life on campus. Read the article at The Chronicle's site here. "Capture – the work of Workshop Architects" is an exhibition opening Friday, February 8, 2013 at the University of Wisconsin – Milwaukee School of Architecture and Urban Planning Gallery. The exhibition traces the firm's research-driven design methodology to create environments for social interaction and creative expression. Over the past 15 years, their work for leading educational and cultural institutions has evolved into an ethnographic approach to design inquiry and an unusually high level of client engagement. The opening reception will be preceded by a lecture from Jan van den Kieboom, AIA and Scott Georgeson, FAIA who will share the evolution of Workshop's research and design methodologies as demonstrated in their current work. Workshop Architects has been invited to present an educational session at NeoCon, 2012. As the largest interior design tradeshow in the world, this year's theme is Think Big, which is exactly what participants will do at its session on Building Community on College Campuses. The one hour session begins at 1:30 PM on Wednesday, June 13, in room 7-A of the Merchandise Mart, in Chicago. The session explores definitions of community, challenges of building community on college campuses, and true to Workshop's name, terminates with a collaborative tool-building exercise that will be available to all participants. Oct. 16–18, the Association of College Unions International (ACUI) convened 50 thought leaders for a think tank at the University of Wisconsin–Madison. Representatives from 10 higher education associations, as well as industry partners in architecture, planning, interiors, and dining, discussed the future of campus facilities planning and the role that physical space plays in shaping community and student learning. The summit asserted that engagement and interaction outside the classroom are fundamental to learning, and that a sense of community and exposure to others are hallmarks to a well‐rounded education. Attendees worked in cross-functional focus groups to challenge traditional assumptions regarding campus facilities planning and propose new approaches to designing space to achieve stronger forms of campus community. Loren Rullman, associate vice president for student affairs at the University of Michigan–Ann Arbor, and Jan van den Kieboom, principal of Milwaukee‐based Workshop Architects, first envisioned the summit concept in 2006. By inviting diverse perspectives that do not typically meet on this topic, the pair hoped to reach across traditional professional and association boundaries to assert that achieving stronger forms of community is an educational imperative, and to challenge conventional approaches to facilities planning. Summit participants concluded facilities planning is too often conducted within arbitrary campus silos and reporting lines. "What if we broke down some of the terms, labels, and barriers that we currently have in our society, in higher education, and in community?" asked James Carlson, executive director of School Factory Inc. "What if the distinction between student and teacher were dissolved? What if places for creative encounters were spread out throughout campus, but still preserved the overall sense of community?" Another theme was that to build community, greater cooperation must occur between campus leaders, architects, and designers. "On a college campus, there are so many different pockets of community. And we rarely talk to one another," said Terry Calhoun, director of publications at the Society for College and University Planning. "So what if everyone on campus who works on building community could get together and talk to one another, share their definitions, share their best practices, and not worry about who gets the credit?" Additionally, participants discussed how rigid expectations about building typology can constrain changing ideas about design and community. They also expressed the ways in which campus policies can have as powerful a negative effect on community as physical design has a positive effect. Finally, they called for higher education to change the ways in which they think about physical space and community. "There is danger in indifference or contentment with the status quo. Our current practices are not always what we should have as our current practices," Said Hali Buck, at‐large member of the ACUI Board of Trustees and Indiana University master's candidate in the higher education and student affairs program. "George Kuh talks about the idea of being 'positively restless,' and I believe this approach will benefit us in our approach to building community." Speakers invited to provoke thought included Peter DeLisle, professor of leadership at Austin College; Eric Stoller, higher education consultant and technologist; Lawrence Abrahamson, senior designer at IDEO; and James Carlson, founder of The School Factory and Bucketworks co‐working environments in Milwaukee. Summit participants unanimously called for higher education to plan across typical institutional boundaries, and for additional meetings and conversations to occur. They also proposed an inter‐ association Consortium for Campus Community. The summit was underwritten with lead support from Herman Miller, and additional support from Chartwells, Brailsford & Dunlavey, Workshop Architects, the Wisconsin Union of the University of Wisconsin–Madison, and the ACUI Education and Research Fund. A detailed report from the summit can be found on ACUI's website here.